and I'm passionate about the power of EFT! It's given me the ability to release the limiting beliefs I've had about myself, and my fear based thinking. I’m now building a life that is better than I’ve ever imagined! Not only has it completely changed my life for the better, but I LOVE that I can help people discover and use EFT to make huge changes, shifts, releases, and positive changes in their lives too! Wondering if EFT Tapping is right for you? Schedule your FREE call to find out! In this video I give a brief explanation of the damage that stress can do on your body and how EFT can lower it. I also included and quick tapping and breathing sequence to try right now to lower your stress. Emotional Freedom Technique, EFT (or often referred to as tapping) is an evidence based technique used to release stress, negative emotions, limiting beliefs, food cravings, fears, anxiousness, and the list goes on! This gentle technique involves self-applied tapping on meridian end points (like acupressure) in combination with a specific type of modern talk therapy. By doing this simple yet powerful technique it allows you to naturally bust through limiting beliefs about yourself, and no longer be defined by your past experiences. So then, you can start to live your life with freedom to be your true authentic self! EFT has been shown to lower cortisol levels, which is your stress hormone. Being constantly stressed out can wreak havoc on your body. High levels of cortisol and stress has been linked to weight gain, restless sleep, unhealthy food cravings, feeling anxious and/or sad, lower immune system, and much more. The good news is that even just one hour of tapping about your stress can reduce your cortisol by 24% and even up to 50% in some cases. Studies have also shown that tapping through the points even without words will reduce cortisol levels. EFT has also been shown to be 86% effective is eliminating PTSD. Finally, a meditation that's approachable and easy! Radiant Meditation uses EFT Tapping in order to flow into meditation with accessibility and ease. 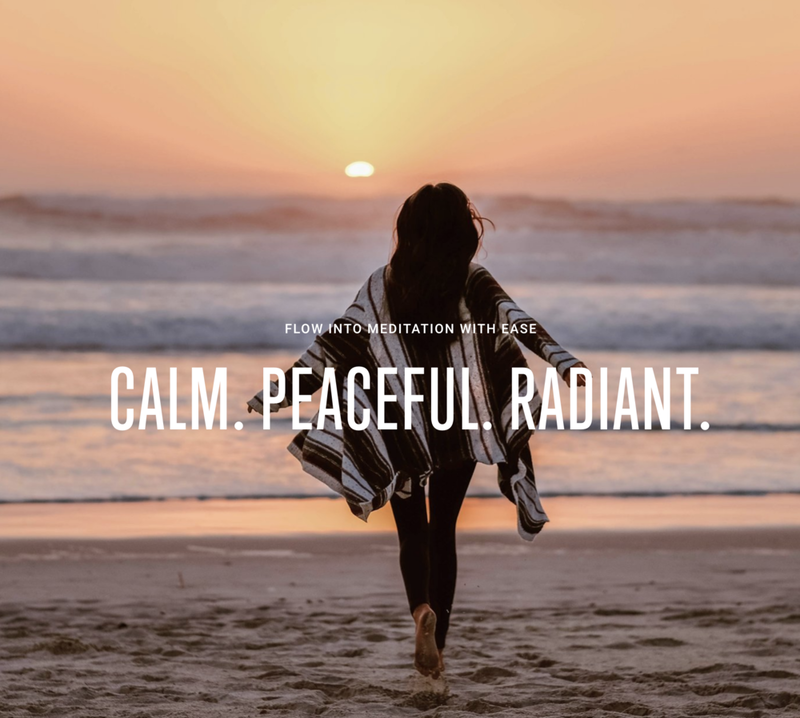 Turns out EFT Tapping is a perfect way to set yourself up for meditation leaving you feeling calm, peaceful and radiant! Subscribe at www.radiantmeditation.com to get a free meditation. Sign up in order to receive my latest blog posts.